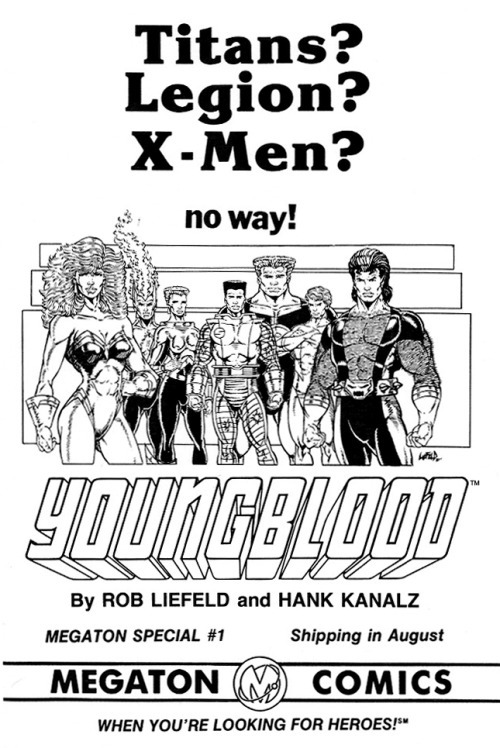 Rob Liefeld’s Youngblood super-team first appeared in a 1987 promotional who’s who from Megaton Comics, Explosion #1. 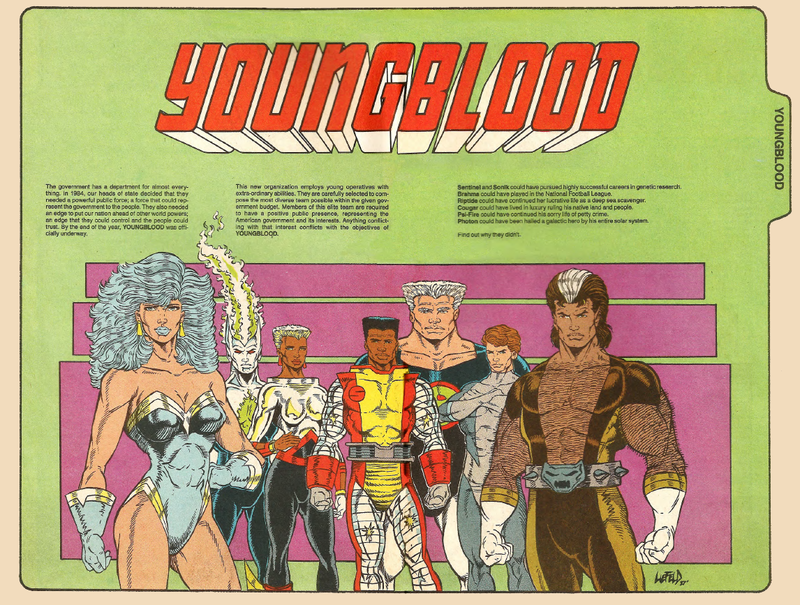 Youngblood resurfaced again two months later when it was advertised in Megaton #8 to appear in its own comic book titled Young Megaton Special # 1, by Liefeld and Hank Kanalz. 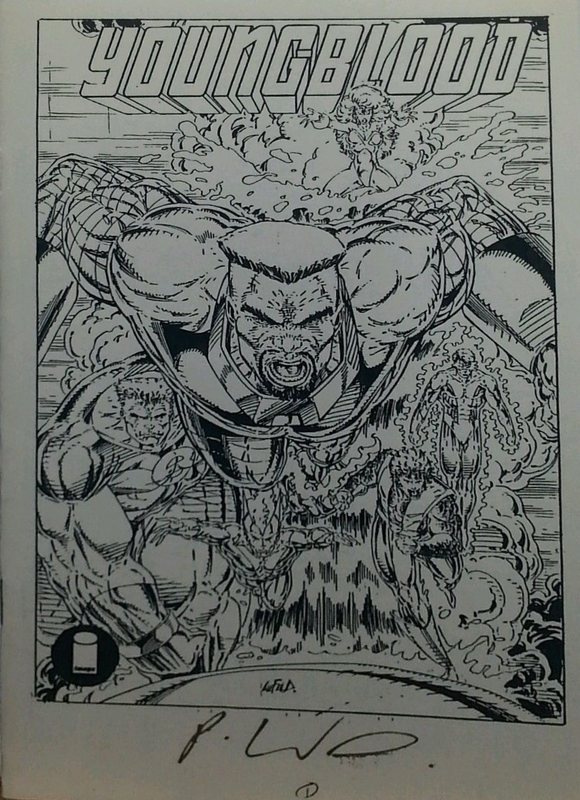 Issue #1 was to feature a Liefeld and Jerry Ordway cover. Megaton Comics went out of business before that comic was printed. Now, Youngblood will finally see the light of day. The comic book has been pushed back to a release date of April 17. 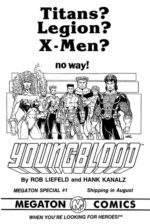 However, on March 13, ashcan editions of Youngblood began to surface. The ashcan editions are two separate 5 1/2 x 81/2″ black-and-while stories from Youngblood # 1. Edition “A” features the 13-page lead story which will be printed in its entirety in Youngblood #1 from Image Comics and Malibu Publishing. Edition “B” has the story from the other side of the flip book plus four extra pages of art that will not be included in Youngblood # I . 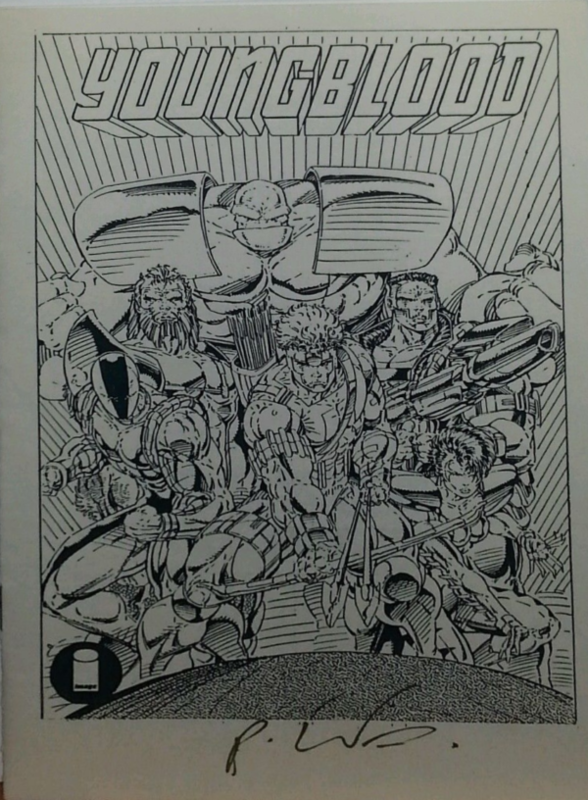 According to John Beck, a spokesperson for Image Comics, the print run on edition “A” was 1000 copies, and edition “B” was limited to 500 copies. He further said that they were selling for as much as $20 each in some stores in the New York area. All copies will have “Image Press” individually hand-stamped inside the front cover.